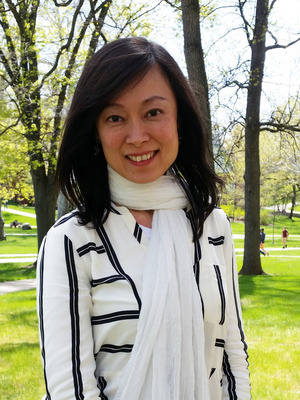 Meow Hui Goh specializes in the literature, literary history, and cultural history of medieval China. She has published on prosody and poetics, the Buddhist influence on early medieval poetry, memory and literature, the propagandistic function of literature, and other topics. Her current book project, Enacting Wenzhang in an Age of Chaos: The Instrumentality of Literature in Early Medieval China, explores the functionality, aesthetics, and symbolic power of literature to reveal its central role in mediating socio-political actions in the aftermath of the collapse of the Han central court in ca. 192. Concurrently, she is working on a longer-term project on “Premodern Chinese Literature and Propaganda,” which will bring together an edited volume of articles on the practices of literature, broadly defined, that facilitated the power dynamic between or among state actors from early times to before the advent of the modern Chinese state. “Artful Remembrance: Reading, Writing, and Reconstructing the Fallen State in Lu Ji’s ‘Bian wang’.” In Wendy Swartz and Robert Campany, eds., Memory in Medieval China. Under contract with Brill. “Landscape, Books, Life, and Community: The Great Medieval Chinese Poet Xie Lingyun.” In Ken Seigneurie (General Editor), Susan Andrade, Chris Lupke, B. Venkat Mani, Wen-chin Ouyang, and Dan Selden Ken, eds., Wiley Blackwell Companion to World Literature. Hoboken: Wiley-Blackwell, forthcoming. “The Struggling Buddhist Mind: Shen Yue.” In Zong-qi Cai, ed., Stories of Chinese Poetic Culture: Earliest Times through the Tang. New York: Columbia University Press, forthcoming in 2018. “The Art of Wartime Propaganda: Chen Lin’s Xi Written on behalf of Yuan Shao and Cao Cao.” Early Medieval China 23 (2017): 42-66. Chinese version: Wu Miaohui 吳妙慧. “Zhanshi xuanchuan de yishu: lun Chen Lin wei Yuan Shao ji Cao Cao suo zuo zhi xi wen” 戰時宣傳的藝術：論陳琳為袁紹及曹操所作之檄文. In Jiang Yin 蒋寅, ed., Haiwai Zhongguo gudian wenxue yanjiu yi cong 海外中国古典文学研究译丛. Nanjing: Fenghuang chubanshe, forthcoming.